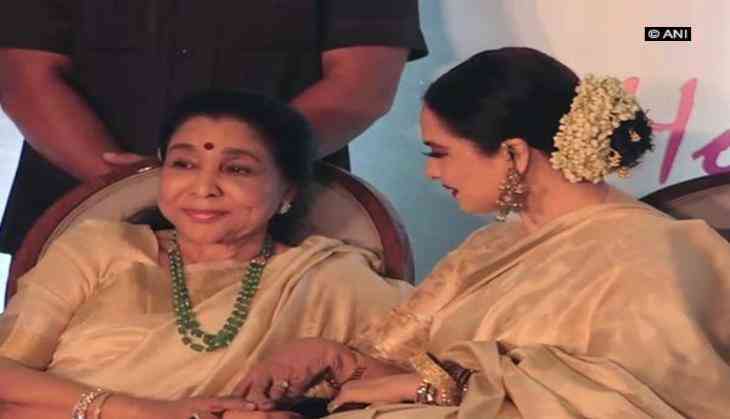 Legendary singer Asha Bhosle on Friday was honoured with the fifth Yash Chopra Memorial Award. The 84-year-old, who was felicitated by veteran actor Rekha, reflected upon her journey of over six decades and even reminisced her first meeting with the late Yash Chopra. Also present at the event were Pam Chopra, Alka Yagnik, Jackie Shroff, Parineeti Chopra and Poonam Dhillon. The previous recipients of the award were Lata Mangeshkar, Amitabh Bachchan, Rekha and Shah Rukh Khan.